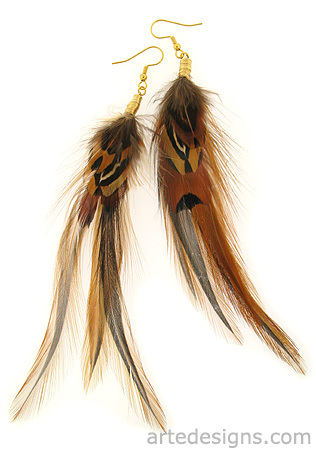 These natural feather earrings are wispy and will compliment any skin color. Feathers may be lighter/darker, darker feathers may have some green. Approximately 5.5 - 6.5 inches long. Wear only one feather earring or wear them as a pair. Available in gold plated, silver plated, or sterling silver ear wires.